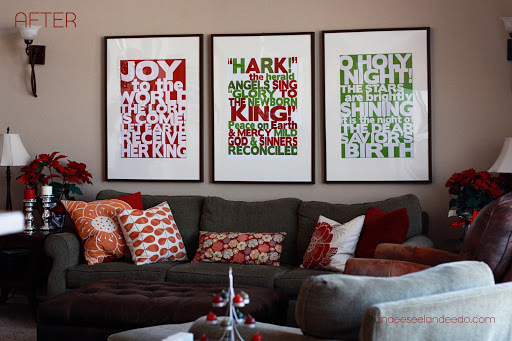 I feel that an inviting interiors post is long over due, and what better theme than holiday decor? Here’s a round up of my favorite, not seen everyday, ideas! 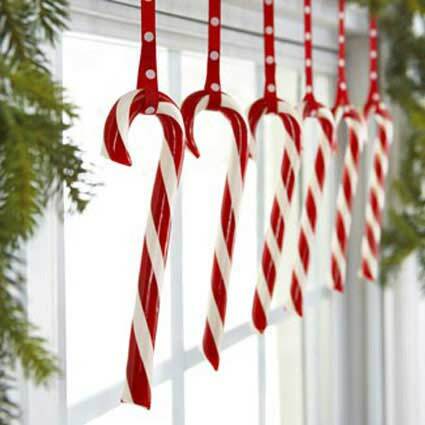 I love the simplicity of hanging candy canes in a window. Paired with garland, this is a perfect, simple way to encourage a holiday spirit! 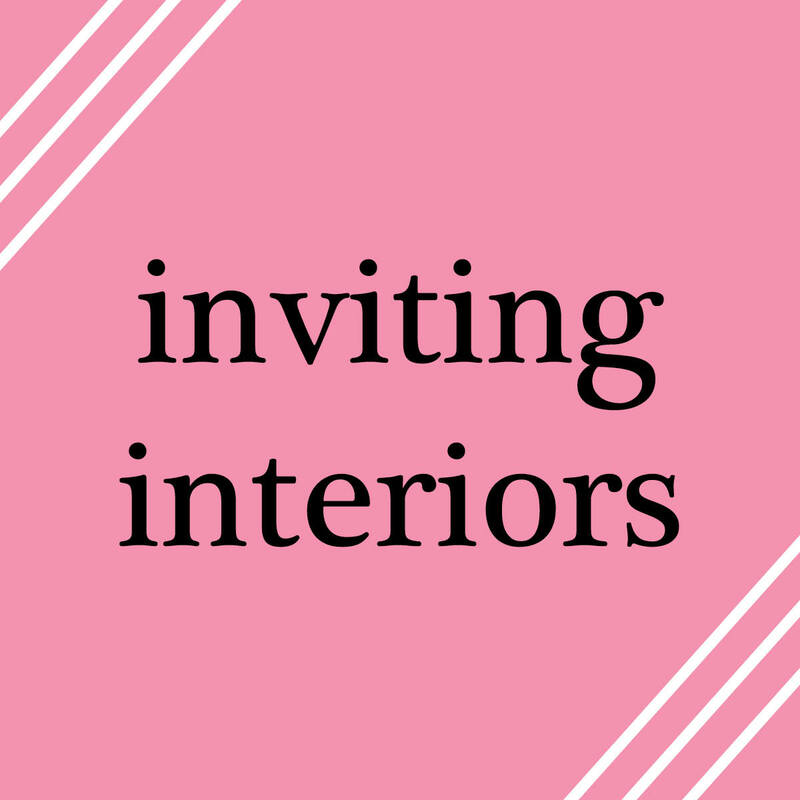 Hosting a holiday party? 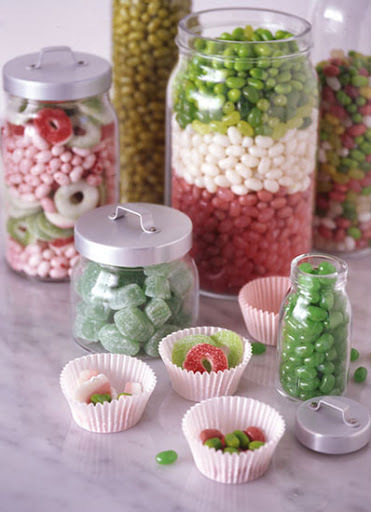 May I suggest a dessert bar with candy jars? This would also be wonderful as a centerpiece to dinner party. Or just a fun countertop decoration! Here’s another really simple decoration! 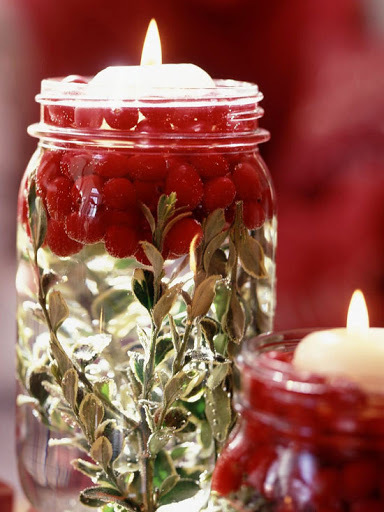 You need: jars, greenery of any kind, cranberries, a floating candle & water. 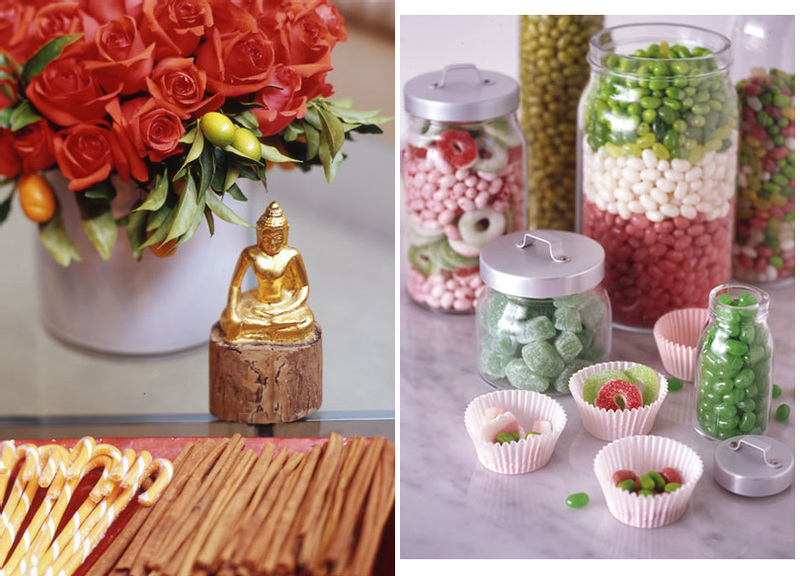 A 5 ingredient decoration! This is much fancier than the candy canes, but not any more difficult. I love how pretty the end result is. It’s no secret that I love desktop publishing and design. I’m a giant sucker for subway art & typography. Simple colors, powerful message. You really can’t go wrong. The best part of this? You can download them & print them to use yourself! Lastly, even though it isn’t necessarily decor, I couldn’t skip over this one! This would be a perfect platter to deliver holiday cookies on. I love the holidays because it means lots of baking! (It also means I’ll be home & CAN bake!) 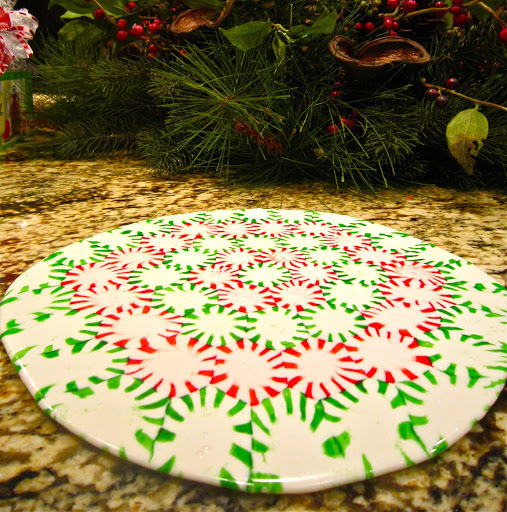 Just arrange starlight mints in a circle with a pretty design & bake to melt them together. Plus, you don’t have to worry about getting plates back or send cookies on ugly paper plates! What’s your favorite piece of holiday decor?